The official elections watchdog has launched an inquiry into donations to the Tory Party made by the company of wealthy party backer Lord Ashcroft. The Electoral Commission confirmed that it was mounting a formal investigation into the multi-million pound donations made by Bearwood Corporate Services. It is looking into a possible "failure to comply" with the Political Parties, Elections and Referendums Act. The Tories have insisted the donations were "legal and permissible". The probe concerns "a number of donations," said a spokesman for the Electoral Commission. 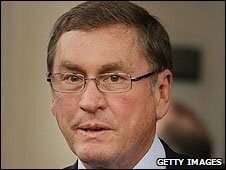 Lord Ashcroft, the party's deputy chairman, has paid millions of pounds to the party through Bearwood, a UK-registered company. Labour MP Denis MacShane said the Conservative Party should stop accepting all donations from Bearwood Corporate Services, while the investigation is on. "Lord Ashcroft is not just the Conservative Party's biggest donor, but sits in Central Office running their election campaign. "It's now time David Cameron stopped ducking the issue of Lord Ashcroft's relationship with the Tory party and sorted out the shadowy funding arrangements that have become systematic under his leadership." BBC political correspondent Reeta Chakrabarti said Lord Ashcroft had been a particular target for Labour since helping fund Tory candidates standing in marginal seats. However Labour MPs have long questioned whether the donations complied with strict laws banning overseas' donations. For a company to be eligible to make donations to a political party it has to be registered in the UK and carry out business here. A failure on either count would amount to a breach of the law. Lord Ashcroft was partly brought up in Belize and he reportedly still has extensive business interests in the former British colony. He has consistently refused to say whether he is resident or pays taxes in the UK. The Conservatives have insisted that they were satisfied that the donations were both "legal and permissible". A party spokesman said: "The Conservative Party compliance unit applies two strict tests to all company donations in accordance with Electoral Commission guidance. "They are: is the company UK registered and is the company trading? "The donations from Bearwood Corporate Services Ltd met those tests and were therefore legal and permissible." But John Mann, one of the Labour MPs pressing for an inquiry into the Bearwood donations, welcomed the confirmation that there would now be a full investigation. He told the Sunday Mirror newspaper: "Tax exiles should not be allowed to give money to influence the results in British elections. "I'm very pleased this investigation has been launched. It's a significant first step to getting to the bottom of what is going on." The Electoral Commission began initial inquiries into the donations last year, but the decision to stage a formal investigation was only made on 30 January. Lord Ashcroft has become a powerful figure at Conservative HQ where he is credited with devising the party's marginal seat strategy, pouring resources into constituencies where Labour MPs are defending small majority. Shadow defence secretary Liam Fox told Sky News his party was "confident" that the donations were legal. He said: "We believe that the donations are legal and permissible. It's up to the Electoral Commission to look into the matter but we're confident that these contributions to the party are entirely acceptable."